Kapil Sharma has pushed himself to heights that TV actors are rarely able to. He has become a household name after garnering fame through his stage presence in shows like Comedy Circus and The Kapil Sharma show. He was born in Amritsar, Punjab to Jeetendra Kumar Punj and Janaki Rani. His father was a head constable in the Punjab Police while his mother is a homemaker. Having lost his father to cancer in 2004, he graduated from the Khalsa College, Amritsar. Kapil Sharma’s claim to fame was the Great Indian Laughter Challenge of 2017. He won the top spot in the comedy reality show thus winning himself INR 10 lakh. He then participated in the Comedy Circus on Sony TV and amassed 6 wins in 6 seasons in the show. He also hosted the 6th season of the dance reality show, Jhalak Dikhla Jaa before he was roped in to star in his own headliner show, Comedy Nights with Kapil on Colors TV in 2013. The show ran successfully for 3 seasons and was taken off air in January 2016. Between 2013 and 2016, he co-hosted the Filmfare Awards with Karan Johar and had a guest appearance alongside Amitabh Bachchan in Kaun Banega Crorepati. In April 2016, he switched back to Sony TV where he launched his own TV show, The Kapil Sharma Show. 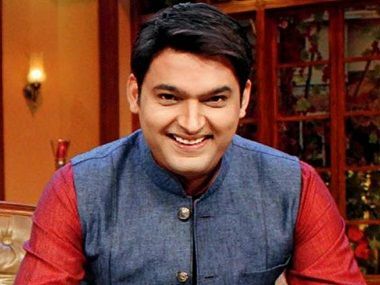 Kapil Sharma has become a household name owing to his comic timing and the way he has been able to connect with the masses. His net worth is estimated to be upwards of US $30 million. He charges a whopping US $170,000 per episode for his show, The Kapil Sharma Show on Sony Entertainment Channel. He endorses famous brands like OLX, Honda and Policy Bazaar. He owns and lives in a super posh flat in Andheri West. He loves collecting cars and owns a Mercedes Benz S350 CDI along with a Range Rover Evoque SD4 and a Volvo XC 90.